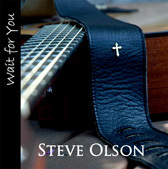 Click below to hear music from Steve's latest album. says, ‘Woe to those who call evil good,’ but that is exactly what we have done. Been a while since I last posted. Been so busy I hardly get the time to spend on the computer anymore. That’s probably a good thing. I think the internet is just another addiction to avoid. A few years back we took cable/network TV out of our house because we got tired of always telling the kids to stop watching it. Most of what was on was garbage that was either inappropriate or a complete waste of time. For a while they (the kids) were reading a lot of books and playing games and they didn’t even miss the tv. We still have the DVD hooked up (remember when we called it the VCR?) and allow some movies after we screen what’s going to be shown. Now we are constantly having to tell them to stop using the computer because they are watching the tv shows that they used to try to get away with on the television. Sometimes I’d like to take the computer out as well but it seems like half of their homework assignments require computer use and/or printing out some homework. When grew up it was the World Book Encyclopedia. There was no other knowledge in the world that was necessary other than that green and tan collection of books that took up a wall in the living room. Actually we called it the “front room” in Minnesota where I grew up. We never had a dining room and a family room and a living room. We ate in the “kitchen”( probably now called a eating nook). We sat 6 kids around the table and my parents. My 2 older brothers and I on the bench. My two older sister’s in chairs opposite “the boys”, and my mom and dad on the ends. My little brother in a high chair. We had a 3 bedroom rambler, with a basement, and one,….yes one bath. That bath had only one sink. We thought we were rich. My Grandma came to live with us as well. It seems like today home owners feel they have to have a room for every child plus an extra guest room for company. I remember when company came to our house I woud double up with my older brothers. They were twins and slept in the same bed and I would sleep at their feet crossways on the bed. We thought we were rich. My two older sisters shared a bedroom with twin beds. We finally got bunk beds with a colapsing trundle bed that stored under the bottom bunk until taken out at nightfall. My brothers and I would tune in WLS A M radio out of Chicago on summer nights on a little transistor radio and would listen until we drifted off. We’d wake up to the sounds of static on the transistor, summer birds chirping outside and we’d start our days doing just about whatever we wanted to do after chores were done. Swimming in the Lester River, getting a job caddying at the golf course, or horsing around down on the shores of Lake Superior is how most of our days went. Throw in a whole bunch of fishing, softball games, camping and just building things in the garage and boy did you have a summer. You know what, we WERE RICH! FILTHY RICH!! I sure am glad that we didn’t have the internet or cable tv to get in the way with that. I have been noticing something lately at a lot of my gigs. I play around 8 to 12 gigs a month so I get to see a lot of people as they are out on dates with the special people in their lives. I look around and so many of these people are hardly talking to each other. I’d like to say they are mesmorized by my singing but unfortunately that’s not the case. They are both staring at their little hand held computer devices all night long. I don’t have any of these things so I can’t tell you if they are I-pads, I-phones, Blackberries, I pods, or whatever they are. But these people are like a bunch of zombies staring down at their hand-held devices, looking up only occasionally to say something to the person across the table from them. When they do say something it is usally as they are pointing to their devices to show them something. It just seems incredibly rude to me. When I am out with someone I feel you should be engaged in conversation with them. Not at a concert of course because that is rude to others around you, but at the type of events I perform at socializing should be considered part of the plan. To me it says “you are not important enough to deserve my attention so I’m just going to stare into this little gadget here”. It’s kinda like sitting at the family table with company over, and watching the TV blaring in the background. Sorry for the ramblings but so many times it seems like technology has taken so much away from our lives as well as adding to it. I’m guilty of it too on ocassions. There is some interesting and hilarious stuff on Youtube but it comes with a price. I better close this off as I am spending too much time on the interenet! !